With releases on the world’s coolest labels such as Armada, Vandit and Perfecto Fluoro, it's no wonder Eddie is being highlighted as one of the most exciting names in the genre today. Eddie's first breakthrough came in January 2011 when he received his first major signing on Armada with his single “Drift” (a collaboration with Anjunabeats artist Genix). A chunky progressive base line and mysterious layered atmospherics this was the production that set the scene for what was to become the trademark Bitar sound. As the hype built it was Paul Van Dyk that came forward first to sign Eddie to his Vandit label. His opening two track EP for the legendary German trance imprint included the hard hitting club rippers “Beirut” and “Red Room”. An ode to the city he grew up in, “Beirut” perfectly translates the constant energy flow of Lebanon's vibrant capital that often played host to 10,000 capacity trance events. 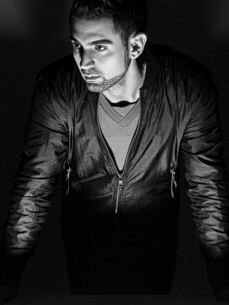 The EP featured a remix coming from another icon from the scene Giuseppe Ottaviani and it drew wide support from Paul Oakenfold, Alex M.O.R.P.H, John Askew, Sean Tyas and John O'Callaghan. Soon Eddie’s services as a remixer were widely sought after – first remixing Paul Van Dyk’s single with Arty called the “The Ocean” which Armin van Buuren heavily supported – describing it as the record that “put Paul van Dyk back where he belongs”. Since then he has remixed for Bryan Kearney, Indecent Noise, SHato and Paul Rockseek and many more. As a DJ Eddie’s live performances reflect the music he makes in the studio. Energetic, crisp, powerful, hard hitting and melodic. First starting out DJing in Lebanon in 2008 he soon earned himself a residency at Chocolate Club in 2010 where he played along side the likes of Paul Van Dyk, Jennifer Rene, Betsie Larkin, Marco V, Jerome Isma-ae, Greg Downey, Daniel Wanrooy, Max Graham, Mark Sherry, Genix, Marten De Jong, Fred Baker and Greg Nash. But as his profile and reputation, as a world-class producer, grew - so did the demand for him to tour. Temporarily relocating to the UK in order to meet demand for European gig opportunities Eddie quickly found himself playing for many of the regions hottest trance nights including The Gallery at Ministry of Sound and Passion. Around this time he also began his monthly “Verdict” radio show on iconic electronic radio station - AH.FM. From there Eddie’s DJ gigs have sprawled across the globe taking him to dance floors in Ibiza, Argentina, England, Amsterdam, Australia, Indonesia, Scotland, Italy, Ireland, Canada and of course back home in Lebanon. TrancePodium’s top 200 DJ pole of 2013 ranked Eddie # 84. In 2014 he rose to # 62. 2015 looks set to see him climb even further. Eddie’s new productions, remixes and collaborations are now firmly established fixtures on the likes of Armada, Vandit, Mental Asylum and Perfecto Fluoro. He is currently working on new singles for all of these labels – including two hot collaborations with Paul van Dyk for Vandit. But now his love of psychedelic has also drawn interest from some of the hottest psy labels from Israel – with killer collabs currently being forged with Astrix, Freedom Fighters, Coming Soon, XSI, Block Device & more. Eddie also welcomes in the new year (2015) by being signed up to the Stadium Artist roster for management (home to Paul Oakenfold, Simon Patterson, Sean Tyas, John Askew and Blazer) and with that announces his exciting new brand – Dinamode.